Guyana Cricket Board (GCB) Chairman of National Selectors and Guyana Jaguars Assistant Coach, Rayon Griffith is satisfied with the new make-up of the team and is confident that they can repeat last season’s honours and successfully defend their Professional Cricket league (PCL) Four-Day title. The former national player who returned from Barbados on Friday where the player selections were made explained to Stabroek Sports why he selected the five additional players: Paul Wintz, Keon Joseph, Tagenarine Chanderpaul and Barbadians Ryan Hinds and Javon Searles. Speaking about the 28-year-old Searles, who is a lively new-ball bowler and handy lower-order batsman, Griffith expounded on finding the right balance between the respective classes of bowlers. “He doesn’t have much experience in First Class cricket but he is a good bowler he’s an early wicket taking bowler and a good lower order batsman …when he gets the opportunity”. “We looked back at the areas we needed to strengthen because last season the spinners captured 142 wickets and the fast bowlers had 46. We still have to get a look at performances and fitness level it doesn’t mean because they were drafted that they will play right away”, Griffith said, adding that “If we can get a player like him to get early wickets then the spinners’ work will be easy. We are defending a trophy so we need to get a plan A, B and C if possible”. Justifying why two overseas players were selected, Griffith said that according to the West Indies Cricket Board (WICB) draft rules, Raymon Reifer who was selected last season was considered a Guyanese player, thus resulting in Guyana being able to acquire Hinds and Searles. On the topic of Hinds, the ex-West Indies Test and ODI player, Griffith said that while the original plan was to select local opener Kandasammy Surujnarine as the fourth Guyanese player in the team along with Wintz, Chanderpaul and Joseph, he was left with no choice but to select the Bajan, as it was in accordance with the draft rules and him being the only notable, experienced players left in the pool. “He is a batting all-rounder and now that we are missing Narsingh (Deonarine) from our set up, Hinds can fill that role because he has experience also. A player like Steven Jacobs is more of a bowling all-rounder who was not selected but can still play. In the draft we didn’t have much to look at so when I had to pick an overseas player, Hinds was the one left with value and experience”. He also cleared the air with reasons as to why the senior pair of Guyana Jaguars Captain, Leon Johnson and Shivnarine Chanderpaul were not listed in the side, stating that the two left-handers still have valid West Indies contracts but are eligible to play for Guyana. He added that the two Test players “will play for Guyana”. During the draft, Guyana lost two key players in Deonarine who was snapped up by the Leewards Hurricanes and opener Trevon Griffith who was acquired by Jamaica. 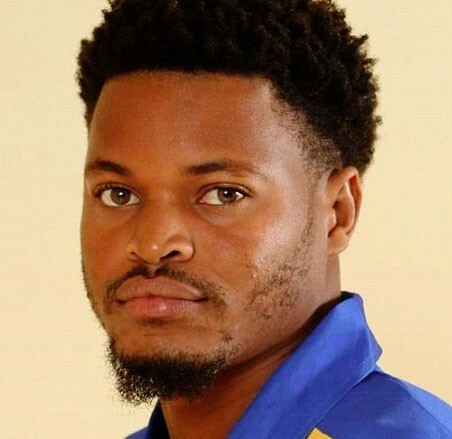 “Narsingh was in Guyana’s protected 10 and he had a meeting with the Cricket Guyana Inc. directors concerning his idea about wanting to play for Trinidad and he was advised by the directors. He eventually got picked for Leewards, because it had first pick. His loss is a blow for Guyana because of his talent and experience”. “Trevon Griffith is more of an ODI player but the energy he brings to the team and training sessions, he has that energy that lifts the players that would be missed. I wish him well I hope things go well for him in Jamaica”. Griffith justified the selection of the Guyanese trio who will be a part of the side this season. “Wintz has been improving he’s a good seam bowler with the ability to swing he ball. Joseph didn’t have a fair opportunity last season and when given the opportunity he has always been putting his hands up and we fell he should be in the setup, he’s young, early 20’s and we could work with him while Tagenarine is a young promising opener and he has quality as an opener and he didn’t get the opportunity. He was in the squad but didn’t get the chance to play”. All in all, the GCB executive said he was “satisfied” with the new team and is confident about a successful four-day title defence come this season. “It’s a good strong team it will bring about competition among the players and that will do well for Guyana. We know we are defending the title so we don’t want to put additional pressure on the guys, instead we will take it step by step”.